“Stella and the team have over 65 years' combined experience in the industry having worked in several large corporate Estate Agents across the West of Scotland. 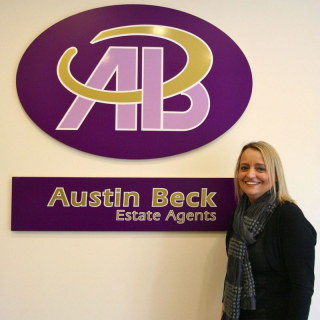 We would happily recommend Austin Beck Estate Agents to our family and friends. Their team were professional, honest and friendly. They were helpful and polite with nothing being too much trouble. 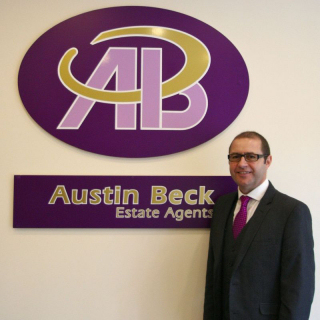 I found Austin Beck Estate Agents very easy to deal with and the service I received was second to none, Sale went through without a hitch all thanks to the professionalism of the team at Austin Beck. 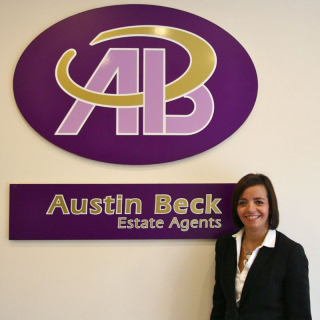 The great communication and professionalism from Austin Beck Estate Agents was greatly appreciated. 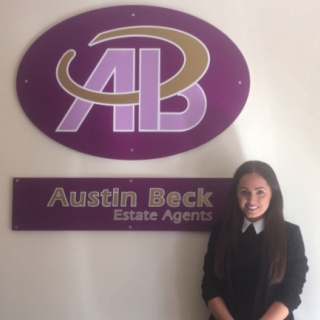 When I dealt with Estate Agents previously the service left a lot to be desired, however the service provided by Austin Beck was completely different!. The agent that came to value my property was extremely knowledgeable and professional. Once the property was on the market with Austin Beck then Stella and the team kept me up to date with all proceedings and were always on hand for advice that I needed. I would have no hesitation in recommending Austin Beck and will definitely use them again! Thank you to Stella for all your help and support in selling our flat. The service you provided was impeccable. This was the first time for us selling our property and I can honestly say that you showed reassurance and professionalism throughout the process from beginning to end. We can't thank you and all the team at Austin Beck enough for making this less stressful for us. I had been to see a few other estate agents but I didn't feel as if they had any personal touch and the attention to detail in photos that I wanted for my property. From the minute I spoke to Stella on the phone I knew she was the right person to sell my house. The photos taken of the house were exceptional and showed off the house brilliantly. It is very nerve wracking showing your house to potential buyers, but I had the confidence to show off my house as Austin Beck taught me how to do this. Stella is totally professional and only sent out people who were in a position to buy a house. I received a weekly update on views on rightmove, zoopla and any enquiries received. I only had one viewer who made an offer within a couple of days. Stella will also give advice on how to add some low cost accessories to your home that will really make a difference to a buyer. I recommended Austin Beck to a friend and his house sold in just 48 hours for an excellent price. I would and do highly recommend Austin Beck and I do intend to use them again in near future. The decision to sell our beautiful family home after 30 happy years, was a difficult one. However, from the outset, Stella and her professional and caring team, were very supportive.The photographs of our home were superb and we received lots of very positive comments.Stella's management of the viewings and subsequent very quick sale (7days) was impeccable.Unfortunately, the sale was, to say at the least, very challenging and we believe that without Stella's skills and support, it may well have not concluded.A huge thank you to you all. We would and do highly recommend Austin Beck Estate Agents, and would use them again without hesitation. The team at Austin Beck is professional, proactive and supportive; even when the going got tough they remained calm and positive! They work extremely well together and kept me thoroughly informed at every stage of the process. Their negotiation skills are second to none and exceeded my expectations for the price I was expecting for my property. I wish to sincerely express my thanks for the truly professional way that the team at Austin Beck have handled my sale. I have no hesitation in recommending them. Couldn't recommend Austin Beck enough!! The service on a professional & personal level was outstanding & kept my mum up to date on every aspect of the sale. In the words of my mum, "Stella is a Gem! !